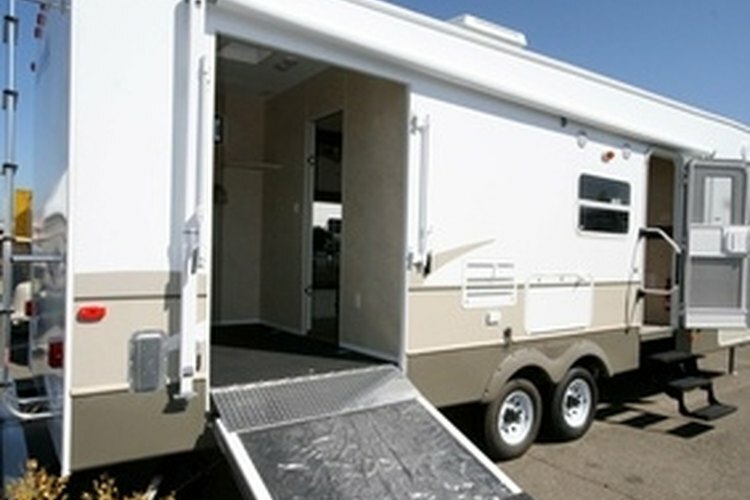 An RV gives travelers flexibility in planning their trip. A Florida vacation does not necessarily mean crowded hotels and theme parks. For visitors with an RV, Florida offers a variety of RV parks with good facilities, plenty of activities and proximity to some of the state's top tourist attractions. The Flamingo Lake RV Resort in Jacksonville is rated one of Florida's best RV parks by Woodall's RV Directory. The resort's 50 acres include a spring-fed lake for swimming, fishing and paddle-boating, and 288 full hookup sites with electricity (30- and 50-amp), water, cable TV, phone, sewer and complimentary wireless Internet access. Other amenities include a swimming pool, exercise room, convenience store, laundry facilities, bathhouse, playground, bonfire area, a pet run and dining facility. Live entertainment is featured on the weekends. Points of interest like the Jacksonville Zoo, beaches, Tree Hill Nature Center and the Museum of Science and History are nearby. The Sherwood Forest RV Resort, near the Tampa-St. Petersburg area, is located on the Pinellas Recreational Trail and five minutes from Honeymoon Island, Crystal Beach and Caladesi Island State Park. The site covers 13 acres, and has extra-large grassy and shaded sites with full hookups, picnic tables and free wireless Internet access. Amenities include a heated swimming pool, a private lake, recreation hall, bath house and laundry facilities. The recreation hall features dancing and entertainment nightly. Busch Gardens is about 45 minutes away. The Miami Everglades campground in South Florida features 330 large sites (263 pull-throughs), and many have a patio or picnic table. The facility has a heated pool, hot tub, bicycles, a paved track, playground, the Groveside Grill restaurant, convenience store, computer room, laundry facilities, volleyball and basketball courts, eight shuffleboard courts, and a recreation hall with cooking equipment. Activities for children and adults are offered throughout the day, seven days a week. Area attractions include Jungle Island, the Miami Museum of Science, Alligator Farm and Coral Castle. Guests also can pick free mangoes and avocados. The Kissimmee/Orlando KOA is near popular attractions such as Walt Disney World, Universal Studios, Sea World and Cypress Gardens Adventure Park, as well as several golfing venues and an enormous variety of restaurants and shopping options. Full hook-ups include up to 50-amp electrical power, wireless Internet access, data ports and cable television (extra charge). Guests have access to the playground, swimming pool and spa, and there are dog-walk areas. The campground also has a meeting room suitable for large events. Activities include karaoke, ice cream socials, pancake breakfasts and bonfires.